If you often drive on roads or trails where visibility is poor due to exceptionally dark nights, fog or dusty conditions, you want to get as much light on the driving terrain ahead as you possibly can. On the other hand, you may be limited by the amount of horizontal mounting space you have or the electrical budget your car can support. Often, a 24-inch LED light bar is the optimum choice in such situations. Even if you already have, say, a pair of 2-inch light pods, the extra fortitude of a 2-foot light bar’s luminosity may make the difference between struggling to see the trail and setting it awash in daylight. 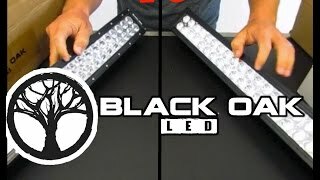 The three 24-inch light bars we review below have been chosen to provide you with just that capability and without depleting your lighting budget or taxing your vehicle’s electrical system. 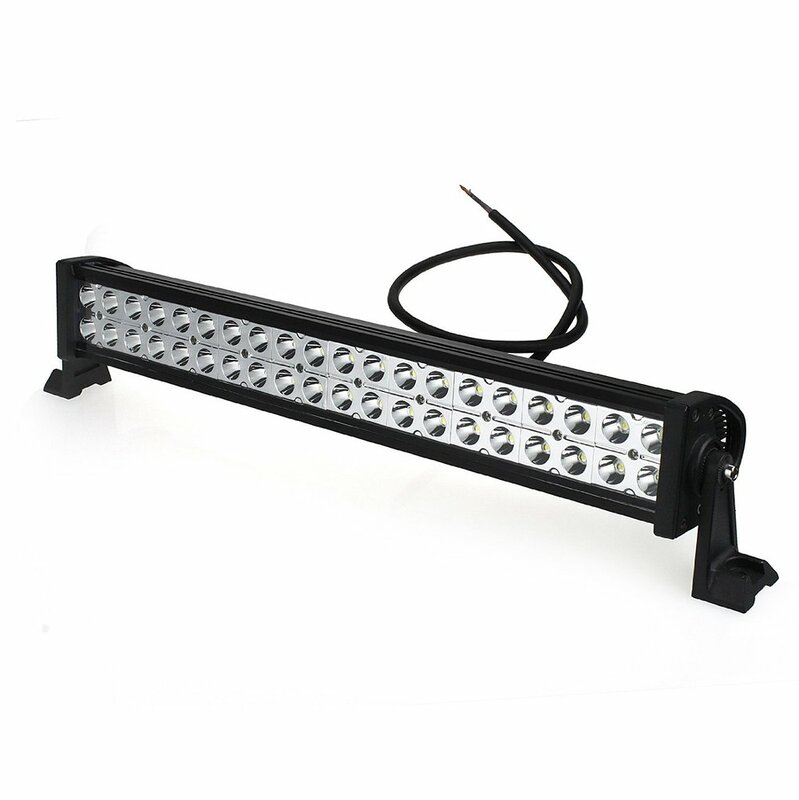 Eyourlife’s 24-inch LED light bar employs 40 high-intensity 3W LEDs to project 7,200 raw lumens of dark-busting light in both spot and flood beam patterns. Its wrap-around deep heat sink fins wick away excess heat, which enhances LED lifespan. It uses a tough PMMA lens, boasts an IP68 intrusion rating against dust, ice and rain from its rugged, shockproof aluminum housing. This Eyourlife model is almost identical to their 22-inch light bar in terms of technical specs. The big difference is that it is actually significantly cheaper than the shorter bar. It is well-reviewed on popular vendor sites and routinely receives 5-star ratings for its “baseball stadium” brightness. A few buyers have noted that the lens seal should be carefully examined upon arrival for potential leaks. 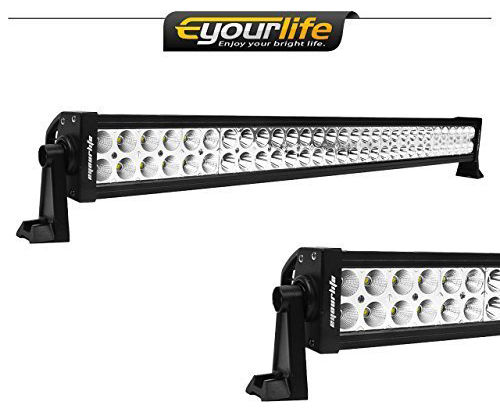 Like Eyourlife’s economical 22-inch light bar, this 24-incher is equally well-built but offered at a price under $40. It represents an excellent value, especially for vehicle or equipment owners looking for their first or an auxiliary light bar. The wiring harness is sold separately. 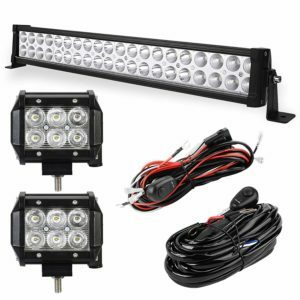 YITAMOTOR LED light bar packs a wallop in the luminosity department with 4W Epistar LEDs versus the 3W LEDs that most light bars in this length use. It outputs 120 Watt or over 10,800 raw lumens of bright white light. It sports an IP67 rating, an efficient vertical-fin heat sink and heavy-duty end brackets. Included in the affordable price is a complete wiring harness with switch, cable, fuse and relay. 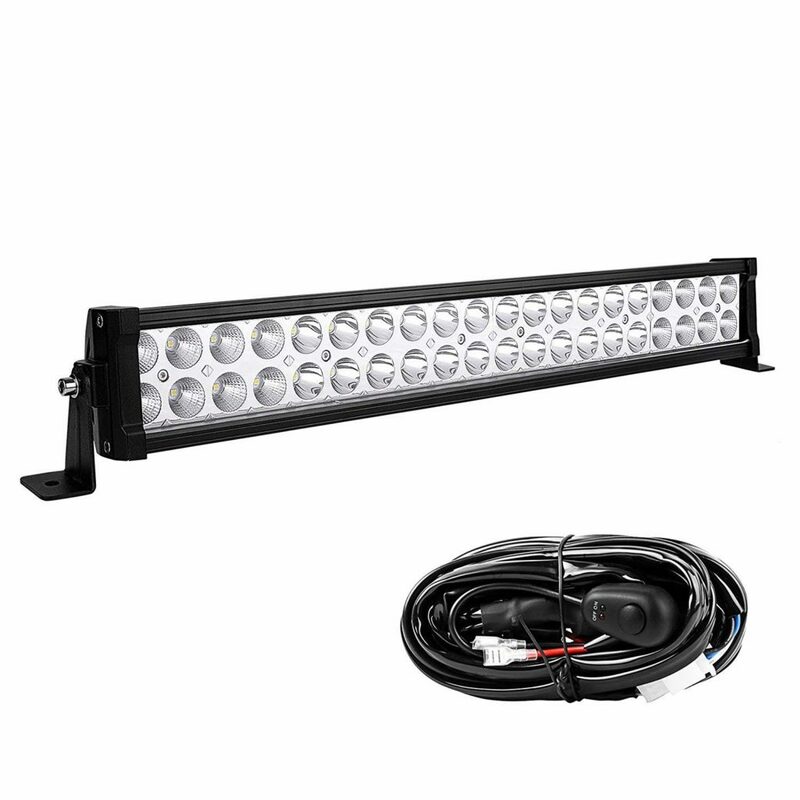 In terms of lumens per dollar, this 24 inch light bar is a bargain, especially considering it comes with a complete wiring harness. 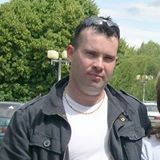 It has hundreds of positive buyer reviews. If you drive rough trails in bad weather, it pays to reseal the lens with a quality silicone sealant as soon as possible. This may be the brightest 24-inch LED light bar in this price range thanks to the use of LEDs that are 33 percent brighter than its competitors. Thus, it is an excellent value with regards to raw luminosity. The inclusion of a wiring harness and its rugged construction seal the deal. SHANREN has produced the most economical 24-inch light bar around while still providing the luminosity you crave. 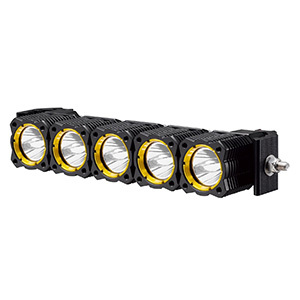 This model puts to work 40 3W Epistar LEDs in a dual-row configuration with optics that produce a strong center spotlight plus plenty of side illumination from the end flood beam sections. Save money while enjoying a wide, penetrating field of gloom-shearing light. This is not the brightest 24 CREE light bar we review, but it is certainly the least expensive. It is more or less a standard design with a tough lens, 6063 diecast aluminum housing with integrated heat sinks and end brackets but no wiring harness. As with all cheaper lights, there are a few buyer comments about moisture ingress, so re-seal the lens when it arrives. Buyers are pleased with its trail and weather performance overall and despite the slightly lower luminosity, it is a superb bargain light. 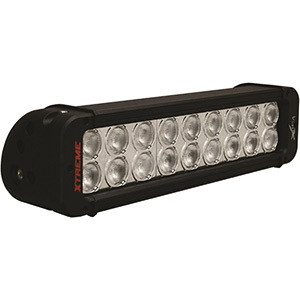 As an auxiliary or primary night-crashing light bar, the YITAMOTOR 24-Inch flood/spot beam LED light bar has it all: 40 flicker-free, 50,000-hour LEDs outputting 11,800 raw lumens with a 30-degree spot and 60-degree flood sections, a full wiring harness and two 4-inch spot pods thrown in. Each light combines an aluminum alloy housing and sealed polycarbonate lens to achieve an IP67 intrusion rating against snow, rain and dust. 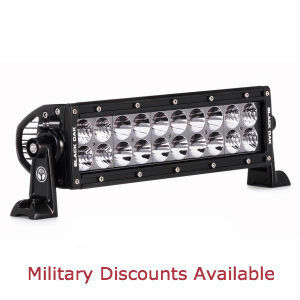 Its compact size makes it ideal as a first-time light bar on trucks, boats, ATVs, heavy machinery or your favorite 4×4. This is a nice light in a popular length. The center provides a long-reach spot beam, which is augmented by pod spots. It is lightweight, but rugged and mounts on the roof, hood or above the bumper easily. It makes an excellent work site light. 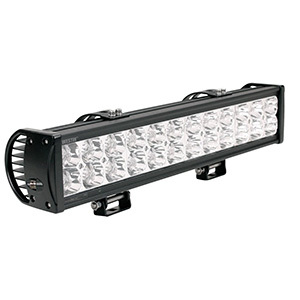 Use this quality LED light bar for recreational use or put it to work on the job. It will stand up under any environmental conditions. Considering a full installation package plus two additional light pods are included it is a steal at under $50. 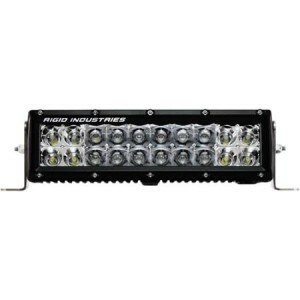 With the exception of the super-bright YITAMOTOR 160W 24-inch LED light bar, most lights in this category are going to give you around 8,000 lumens plus or minus, which is nothing to sneeze at. You will find that these are far brighter than the brightest stock headlights and will extend your visibility a good 200 yards. They are still at a length that is easy to mount and the prices are a light touch on your bank account.